When taking a quick look around any track day paddock, you would be forgiven for thinking that road bikes on track are a thing of the past. Yes, pure track machines make up the largest portion of the paddock, but there are still a great number of you that do track days as they were originally intended. A chance to ride your bike to the track, open her up a bit, then ride home. As such, the tyres you need won’t be the pure race pace rubber that you’ll find donning most dedicated track bikes on any given day. Instead what you need are a pair of hoops that will bring you a few thousand miles on the road, while still giving you ample grip for your track exploits. So what you’ll find here are a selection of tyres that are designed for those riders that are more inclined to just have the odd spirited ride on dry roads (fair weather riders, as we’re known), but tyres which will also supply you with more than enough grip to hoon around on track too. And while they will work in the wet to a degree, that’s certainly not what they’re designed for. The options you see here won’t be a million miles away from the rubber I covered back in January, but they are road biased enough to actually make them feasible for riders of both road and track. Launched at the same time as the K1 and K2 track biased variants at the end of 2014, the RR K3 quickly rose to the top of the most wanted list for this category. In fact, in a group test carried out by Motorcycle News UK the RR K3 came out on top, and MCN gave the tyre the accolade of Tyre of the Year 2015. Not only did the RR K3 come out with the fastest lap time around the famous Jerez circuit, but they were also praised for their very quick warm-up time from cold. The tyre, like many others here, feature a dual compound rear for extending the life on the road while not compromising the ability on the track. The SP V2 has been around for a few years now and was a simple replacement for the standard SP that was so popular before it. Between the SP and SP V2 there wasn’t that many notable changes made to the tyre, the biggest change being the tread pattern. Basically, there’s less of it. This should help a little with tyre life, but it’s largely the same tyre. It carriers the same construction as it’s race focused cousin (the SC), but the compounds are tailored to incorporate more road use. 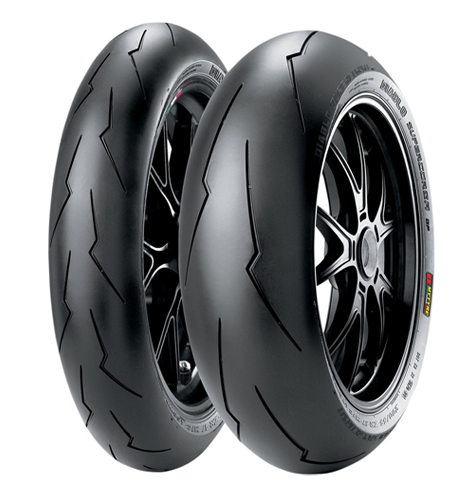 Like the Racetec RR K3 it features a dual compound rear tyre, which again will help increase miles on the road with it’s harder centre compound, while giving excellent grip at high lean. Pirelli sits near the top of the price tree for a reason. They make very good tyres. That being said, seeing how well the RR K3 is doing I feel that the SP will be due an upgrade sometime soon. 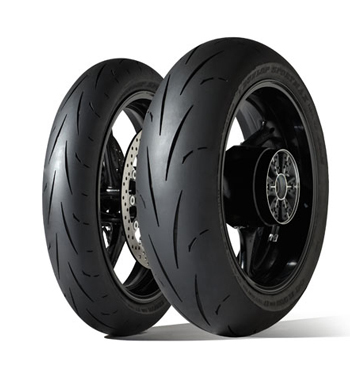 The RS10 was brought in as a replacement to the Battlax BT003RS in late 2014, and without wanting to reel off the usual PR features list, they basically set out to make the tyre better in every department – as you would expect. It appears that they succeeded in that plan. Coming in second in outright lap times behind the RR K3, as well as offering excellent stability and grip around the Silverstone National circuit, MCN put the RS10 just behind the RR K3 in their group test. The biggest difference coming in warm up times. The RS10 is said to take a little longer to warm up, but once it is warm you can really begin to test the tyre even on the most powerful machinery. Since the ContiRaceAttack Comp (how uncatchy is that name?) 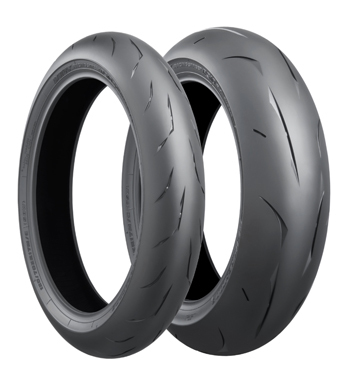 range was first released back in late 2012 they have only been gaining popularity, and I now regularly see riders opting for the racier options (Soft & Medium) over the more established tyres from Pirelli and Metzeler. At a price point considerably cheaper than those brands, but with performance enough for the vast majority of track riders (people are racing on them at a high level) it’s no surprise many riders are now looking to make a saving by opting for them. Much like the K3, the Endurance compound is a more road focused variant of their race tyre, sacrificing outright grip for longevity. The ContiRaceAttack Comp only has a single compound, but what they do boast is “MultiGrip-Technology”. What it essentially means is that different rubber characteristics are achieved by how the different sections of the tyre are cured. Bottom line – the middle is harder, and the sides are softer. They’re achieving the same results as a dual compound tyre, just with a different way of getting there. I actually ran the Endurance compound on my R6 back in 2013 and I had no trouble mixing it in the fast group at a variety of different tracks. It’s still a tyre I would easily recommend given that the price is quite a bit cheaper. Anyone that knows a thing or two about tyres will agree that Dunlop make some of the best tyres around. Their KR and D212 GP Pro range are regarded as sitting right near (or at) the very top of the track tyre tree. The KR slicks in particular. 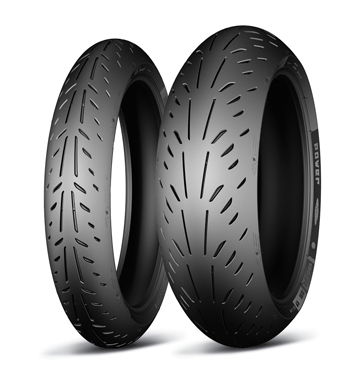 The GP Racer D211 takes the same technology found in the above racier tyres, but brings with it a more road going compound for longer tyre life. Unsurprisingly, the result is a tyre that falls in line with all the other options here. Exceptional performance on the track and enough performance and mileage to see you through your dry rides throughout the year. 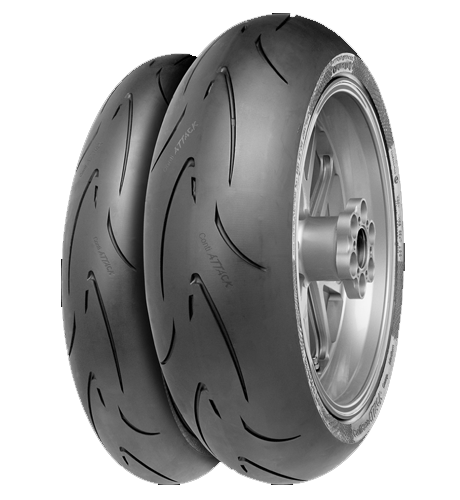 The GP Racer D211’s are said to have the raciest feel of the tyres in this category, with its ‘pointier’ front tyre allowing for very quick steering and therefore fast direction changes. Even though Dunlop’s performance tyres tend to sit at the upper end of the price scale, the D211’s have been around a while now and can be found for good money. Last up we have the Power Supersport Evo’s from Michelin. The Power Supersport Evo is the road biased version of the Power Cup Evo. Which, as I’m sure you can now guess, means less outright grip and more longevity. Going by reports, however, it sounds like the Power Supersport Evo’s are more geared toward the road, which can be seen as a positive or a negative depending on what you want. Outright track performance doesn’t live up to the best in this class, but with that you should expect to see more miles out on the road. It’s more of a 50/50 road to track tyre, whereas the other options here lean more toward track riding efforts. The conclusion I reach here is going to be largely similar to the one I reached in my Track Day Tyres 2016 article. Reading into various reports, the Racetec RR is coming out on top in group tests. If price wasn’t a factor I could see myself opting for those for a dry road riding and track tyre. However, the ContiRaceAttack Comps are continuing to prove their worth, and at their lower price point it’s difficult to say the Racetec RR is worth the extra cash for me personally. 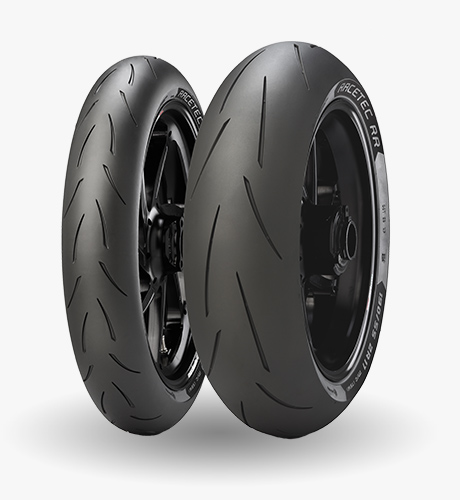 Being that you’re not looking to set track records on these tyres, on a bike most likely in road trim, the ContiRaceAttack Comps have to be my pick of the bunch.